The Slavic nations in the heart of Europe have a lot in common. They are united by their special relationships that have undergone difficult tests in the past. Last year it was 100 years since the Czechs, Poles and Slovaks gained their freedom and independence. And, as an addition to their common values and projects, now sees the launch of a new sports competition in 3x3 basketball. For a long time now 3x3 basketball hasn’t just been a street sport. Modern open-air arenas that are able to travel to the most interesting places in the world attract global basketball stars or, alternatively, turn previously unknown players into stars. 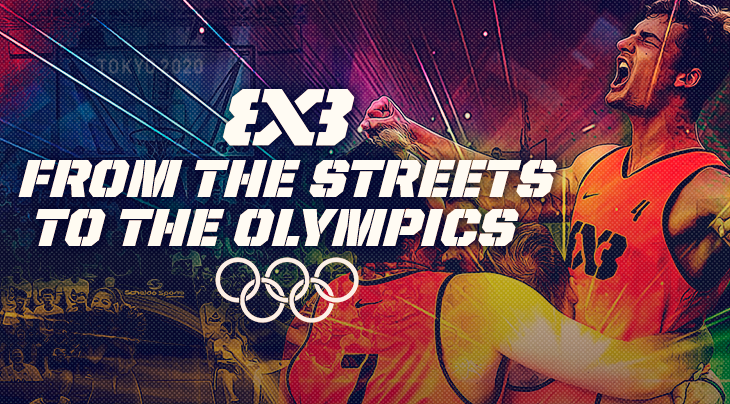 What’s more in 2020 3x3 basketball will be among the handful of sports that have the honour of rewarding their best athletes with Olympic medals. The joint 3x3 basketball league project creates a sufficiently strong project in the global world of 3x3 basketball while maintaining the autonomy of the 3x3 National Tour. The combination of the Czech Chance 3x3 Tour, the Polish Grand Prix Polski and the Slovak 3x3 Basket Tour offers the opportunity to gain an interesting number of points for the FIBA World Ranking thanks to the large number of differently rated tournaments. This is important for inclusion in 3x3 World Tour challengers and tournaments around the world. It will also play a crucial role in the fight to compete in the 2020 Olympic Games. The winner of a tournament in the 3x3 Central Europe Tour series will automatically get a place in the tournament finals for 32 men’s and 16 women’s teams. They will be joined by the top teams according to the points earned over the whole Tour and each country will also have one wild card available. Teams can register to take part in a competition via the official 3x3planet.com website. A team has the right to start in a tournament after paying the participation fee of CZK 500/team. This fee is non-refundable and can only be paid through the payment gateway. You can find all the information about tournaments on the 3x3planet.com website. In addition to information about the location, the number of points distributed and the prize money, you will also find the date until which you can enter the tournament, as well as the official schedule before it starts.